September 2017 the race car is on jacks in a cold workshop still very much looking like a road car. There was no question there was a lot to do leading up to the deadline of launching the car in February. Pie Performance is always an incredibly busy Porsche Specialist with the workshop always packed full of all ages of Porsche. 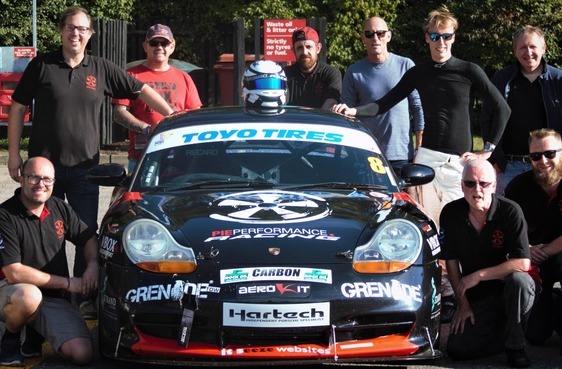 This was the start of the Pie Performance racing story with their first season of racing for 2018 in the BRSCC Toyo Tires Porsche Drivers Championship.